Im not referring to the GTD class Mike. Even ignoring Mike’s valid point about what actually happened, this fundamentally does not mean BoP isn’t working. It makes this kind of result likely. All cars should be balanced to have an equal chance. So, as Porsche do not make up a large part of the grid it is entirely possible they miss out on a podium in both classes. When Porsche built good cars, they did not need BoP. Now the cars are old and feeble, they need BoP. What we can see is that the Balance that Bop is supposed to provide is not there. I don't think it has to do with the fact the cars are 'old' or of a poor design per say. I think much of their past success is just a a numbers game. Back then, if you wanted a factory built race car you basically had a Porsche or you had nothing. The grids were packed with Porsches and if you have 15 911s versus 2-3 M3s and a couple random whatevers, simply by the numbers the Porsches had a better chance to win or podium. I think I understand what you were saying. However it’s nice of you to underline and bold a word to help me. My points included, and I presume you have missed this , one that was the same as one you say here. Porsche made good cars and won when there was no BoP. I think that as you repeated what I said indicated I didn’t really miss your point. Then my second point, which is more general and not specific to this year, is that if there is true balance then Porsche have as good a chance of not being on the podium as any other manufacturer. So you may have to cope with this next year. Even if they get the BoP right. Not really - If there is a true balance, they stand as much of a chance as anyone. They have a professional team with good drivers, so the chances are the same. If you are referring to the number of cars...well, they are entering 4 factory cars for Le Mans. You both said the same thing. He said you have a 50% chance of getting tails and you said, no you have a 50% chance of getting heads! #2 GetSpeed - Lucas Luhr, Steve Jans, Marek Böckmann, Jan-Erik Slooten. #17 Team75 Bernhard - Andre Lotterer, Michael Christensen, Jörg Bergmeister, Matteo Cairoli. $44 Falken - Dirk Werner, Sven Müller, Martin Ragginger, Klaus Bachler. 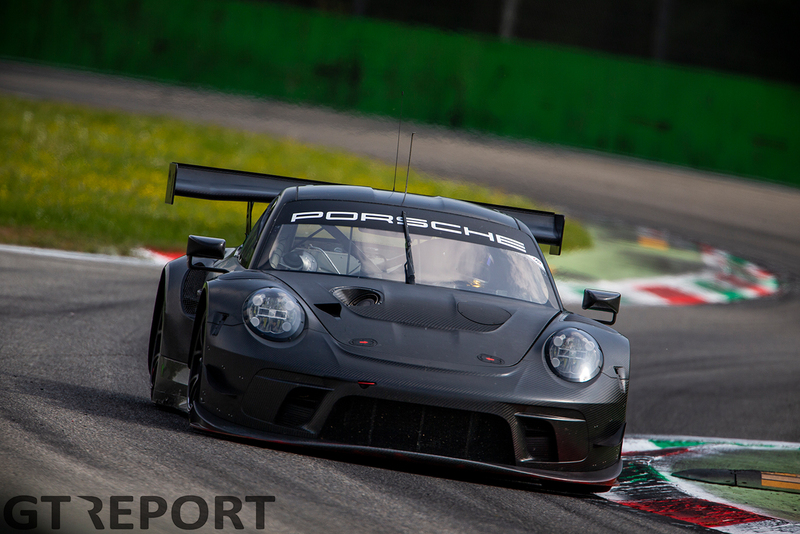 #911 Manthey - Earl Bamber, Laurens Vanthoor, Kévin Estre, Romain Dumas. #912 Manthey - Frédéric Makowiecki, Nick Tandy, Richard Lietz, Patrick Pilet. Hope somebody races with that livery when the car gets on track.